Personal observations about life, specifically, Spritual Life, Personal Life and Retired Life. A "THANK YOU, GOD" BLOG! Good morning everyone. I have been remiss in making time to write more. My life, as I suppose other people's life, is busy. I know that that's not a valid excuse. Well today I have made time. 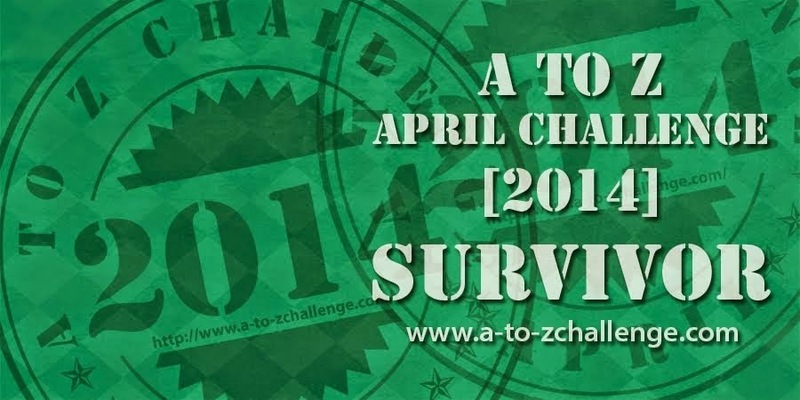 Recently, my mind has been mulling over the myriad of things that God has done for people. Those of you who believe in God and have experienced His love, know what I mean. Those of you who do not believe in God, have no idea about what I am talking about. One thing for which I am particularly grateful for is God's Creation, the universe. I love to stand on a mountain top and survey the surrounding areas. I am astounded at the natural beauty and diversity. I love gazing into a crystal clear, star filled sky. I love viewing the constellations, seeing comets and meteors and sometimes viewing the International Space Station (ISS) passing over head. (To view the ISS you need a good pair of binoculars or telescope.) I also love when the moon is full and illuminates the earth in its soft yellow light. I love being at, and sometimes on, the ocean. The amazing power if the ocean tides and the beauty of the seascapes is healing to the spirit. Also, witnessing the behemoths of the deep, AKA whales, in their natural habitat is a great experience. Another thing that I love, particularly at this time of year, is the changing colors of the foliage. People come from all over the world to view our leaves. There is nothing that compares to the beauty of a New England foliage tour. Another thing for which my gratitude to God knows no bounds is my relationship with Him. I am a sinner. I am incapable of living a sinless life. God, being perfectly Holy and sinless cannot, and will not, have any fellowship with sin. Therefore, God, in His infinite love and mercy has paid the debt for my sin. He died for my sin in the form of Jesus, the Christ, His Messiah, and has thereby provided a way of reconciliation. Just think about it. The God who created all that has been created, who is the Supreme Being and is all powerful, desires to have a relationship with me AND has gone to extraordinary lengths to make it happen. If you knew me as well as I know me, you'd me amazed as well. God has adopted me into His family...mind blown! By the way, He also wants a relationship with you too, AND He would love to adopt you into his family as well. I am feeling gratitude towards Almighty God for these things and oh, so much more. Do you know Him? I urge you to get to know Him if you don't. If you do know Him, I urge you to get to know Him better. This is a life long process. Think about it as you go through your day. Unless you have been living in a remote cave off the grid you are aware of the controversies that are swirling around the nomination of Judge Brett Kavanaugh to a seat on the U.S. Supreme Court. Before Judge Kavanaugh was nominated, the democrats in the U.S. Senate publicly stated that they would oppose anyone, no matter who they were, who President Trump nominated to fill the vacancy on the Supreme Court. Dr. Christine Blasey Ford has accused Judge Kavanaugh of attempting to sexually assault her thirty six years ago when they were both in high school. Judge Kavanaugh emphatically denies that he committed the alleged assault. Kavanaugh provided compelling testimony. So the problem for the Committee and the U.S. Senate at large is to decide where the truth lies. Here is where I come down on this question. I am convinced that Dr. Ford is the victim of an attempted sexual assault that occurred when she was fifteen years old. I found her testimony to be compelling. However, at the end of the day all we have is her word. There is NO corroborating evidence to support her version of events. I am NOT saying that Dr. Ford is lying. I am saying that what Dr. Ford said is simply not true. People often say things that they believe to be true but upon further examination prove to be untrue. That does not mean that these people were lying but that they were simply wrong. The people who Dr. Ford said were present during the incident have all stated, under penalty of perjury, that they were not present and have no recollection of the event in question. Judge Kavanaugh has provided a virtual mountain of corroborating evidence that he was not involved in the incident. He emphatically stated that he did not do it. He had personal calendars/diary that demonstrated that he was elsewhere during the time that the incident is alleged to have happened. Furthermore, anyone who has known Judge Kavanaugh, including men and women who have known the Judge for most of his life, have stated that he was a person of the highest integrity and moral character. There have not been any people, men or women, who have worked with or for Judge Kavanaugh, who say anything different. They all affirm Judge Kavanaugh’s character and assert that Judge Kavanaugh is incapable of the alleged conduct. Any examination of the Judge’s life will bear out the assertion of his friends. I am convinced that Judge Kavanaugh has been shown to be a good and decent man. I am convinced that Judge Kavanaugh is eminently qualified to sit on the U.S. Supreme Court. I do not believe that there is any competent evidence to contradict these beliefs. I believe that the conduct of the democrats and the political left in this matter have been reprehensible. Judge Kavanaugh should be immediately confirmed! BELIEF IN TIME OF DOUBT! Good morning everyone. I hope that this Tuesday morning finds you all to be well. It has been a while since I posted a blog entry. I hope to remedy that today and going forward. I think it helpful to remind my readers that when I began this blog it was called “LifeSPW.” The name was derived from my purpose in writing, that is, to share three aspects of my life, namely my Spiritual Life, my Personal Life and my Work Life. Well, in August of 2011 I retired after a 30 year career in law enforcement. My retirement led me to amend the name of this blog to “LifeSPR.” The focus changed from writing about my Work life to now write about my Retired life. I will still write about Spiritual matters and my Personal life. So here we are! I am a Christian, that is, I am a disciple of Jesus, the Christ. I believe that the Bible is the Word of God and is therefore without error. Are you a believer too? Have you ever had any doubts about your faith? If your answer is “Yes” you are in some very good company. Consider John, the Baptist. He was six months older than his cousin, Jesus. He was called by God to be the forerunner of the Messiah that was prophesied by the Prophet Isaiah hundreds of years earlier. In the early chapters of the four Gospels we find John baptizing people in the Jordan River. One day he saw Jesus come down to the river where he was baptizing people. He said “Behold, the lamb of God who takes away the sin of the world.” John recognized Jesus to be the Messiah. John witnesses the Holy Spirit, in the form of a dove, alight upon Jesus and he also hears God, the Father, say from Heaven, “This is my beloved Son in whom I am well pleased.” John testifies that Jesus was the Son of God. Later on, John, the Baptist, is in jail upon orders of King Herod. John sends two of his disciples to Jesus to ask Him if He was the one or should they be looking for someone else. The point being John had doubts notwithstanding that he bore witness a short time prior to this time that Jesus is the Messiah, the very Son of God. So you see, two men who saw Jesus, touched Jesus, who bore testimony that Jesus was the Christ, the son of the living God, came to doubt what they at one time fervently believed. Therefore, it is not unusual for us who are living some two thousand plus years later, who have never seen, physically touched, or witnessed the Son of the living God in person to have doubts from time to time. We do, however, have something upon which we may resolve any doubts…the written accounts of the many witnesses who were there. Think about it…. Each Labor Day the church meets at one of the members house and food gets cooked, salads, desserts and drinks get contributed to the cause, and we have a wonderful time of sharing food, conversation and games. It is usually the highlight of the summer. My beloved SWMBO expressed the desire to travel to Canada for a few days. I'm thinking that we might visit the maritime Provinces. She's thinking of visiting Niagara Falls from the Canadian side. We'll keep you posted. I'm still reading it. It's called "The Blood Sugar Solution" by Dr. Mark Hyman. I am trying to get better control of my blood sugar levels. My beloved SWMBO is responding to her cancer treatments. We recently received clearance from her oncologist to travel. She has felt the urge to travel, hence my response to question #3 above. Expanding my response to question #2 I had nothing better to do this summer so I developed a couple of kidney stones. Anyone who has had kidney stones will tell you how much they hurt. I woke up around 2:30 a.m. one morning, in significant pain. Nothing I tried took the edge off of the pain. So around 2:30 p.m. I told SWMBO what's been happening and that I needed to go to Urgent Care. She then knew I was in some distress because I NEVER go to the doctor unless I am dire straits. At Urgent Care the doctor administered a number of tests that revealed that I had a kidney stone lodged in each kidney. The one in my right kidney was not causing any mischief. The one in my left kidney was causing a lot of mischief. I felt like I was being kidney punched by Muhammed Ali (sp?) . I underwent a surgical procedure to remove the stone. It has been a few weeks since the surgery and I'm feeling much better. I hope that the remaining stone continues to behave itself. I further hope that I do not develop any more stones. A BELATED HAPPY BIRTHDAY AMERICA! Good morning, everyone! Welcome back Joyce and the Wednesday Hodgepodge. Our beloved Nation is a precocious 242 years old. That is fairly young as the age of nations go. A belated Happy Birthday America! I hope that you all are enjoying your Summer. I hope that you had a pleasant Fourth of July Holiday. My beloved SWMBO and I had a lovely time. We spent part of the day with friends and shared some traditional foods. We capped the day with our usual mid-week Devotional and Bible Study. What a great question! We have a couple of broken recliner chairs, a riding lawn mower with a blown engine, and a wood stove that we don't/can't use anymore. Those are three things that I would like to get rid of but cannot seem to for one reason or another. Recently, I took SWMBO on a trip down memory lane. I spoke about my childhood, some of the people who I grew up with, some of the activities that we engaged in, etc. I must say that I had a pretty decent childhood. I think that I would keep a Bible app, Mail and YouTube. If you ask me tomorrow it is possible I would keep different apps. Yes, I do like Blueberry muffins. Blueberry bushes are practically everywhere in New Hampshire and Maine. How can you not like Blueberries? How have I changed since childhood? Well, I am now 6' 3" tall and weigh over 250 pounds. I now have a full beard and I now need reading glasses. Also, I am keenly aware of the existence of God in my life and the attendant responsibilities of having that knowledge. Last, but by no means least, I am happily married to the greatest woman on the planet...but you knew that! How am I the same? I am endearingly impish and a faithful Red Sox fan. I have a couple of random thoughts this morning. First, kudos to the Thai government and their Navy Seals for the rescue of the boys soccer team from the cave. All eleven boys and their coach were safely extracted from the cave after two weeks of being trapped and all are in good condition considering their ordeal. Thank you God for your grace and for the safe return of the team and their rescuers. Second, the left side of the aisle in this country have lost their collective minds. They have been protesting President Trump's nominee to fill a vacancy on the U.S. Supreme Court, which is to say that they were protesting.....NOBODY, that is, until last night when President Trump announced that he was nominating Judge Brett Kavanaugh of the D.C. Federal Court of Appeals. The left has recycled the same old diatribes that they have been using against every Republican court nominee since the Reagan Administration, namely, that the nominee will curtail abortion rights, LGBT Rights, access to Medical Care rights, and every other perceived rights, whether they actually exist or not. So far none of the aforementioned curtailments have occurred. One can plausibly conclude that the left is consistently wrong and/or hysterical! Therefore, let the Kabuki Theater, that Supreme Court confirmations have become, begin! Good morning fellow Hodgepodgers and non-Hodgepodgers alike. I cannot believe how quickly a week passes by but, boy, do they quickly pass by! The latter part of this week is suppose to be a scorcher up here in the Granite State. Temperatures are forecast to be in the high 90's with an increase in humidity. My beloved SWMBO will be happy AND comfortable while the rest of us will be like the Wicked Witch of the West in the Wizard of Oz...M E L T I N G! Thanks go out to Joyce Daley at "From This Side of the Pond" for our weekly hodgepodge of questions. And now, without further ado...the Hodgepodge! Yes! I believe that you can have both, security and freedom. Our country was partially founded on that principle. Our founding fathers believed that both could exist simultaneously. The U.S. Constitution was enacted to preserve the blessings of liberty for all Americans. The fourth amendment of the Bill of Rights specifically states that all Americans have the right to be secure in their possessions, papers, houses and effects from unreasonable search and seizure. It requires that a warrant issued by a judge based upon a showing of probable cause before any search can be lawfully conducted. Benjamin Franklin rightly observed that any people who surrenders their liberty for security will have neither. I choose Washington D.C. I choose our nation's capital because it is just chock full of American History. I love the plethora of historical buildings and monuments. I believe that you can spend months in that city and not run out of places to visit. Many places would require several visits. Yep! That is my choice! I will go with "...be free of! " My beloved SWMBO and I recently refinanced our mortgage and were able to use some of our equity to off load some significant debt that we were forced to accrue due to having to do major repairs to some of our house systems, etc. Where does Joyce get these questions? Well, here goes...there are RED bell peppers in our refrigerator vegetable drawer. We have a sheer WHITE curtain in our living room's picture window. I have a BLUE cell phone case on the table beside my easy chair where I am typing this answer. I briefly visited the Garden State in 1974. I was transferred to the United Kingdom for a new duty assignment for the U.S. Air Force. I flew out of McGuire Air Force Base in Burlington County, New Jersey. I have never tried Taylor Pork Roll. Yes on Monopoly and yay on the salt water taffy question. We do have several diners in our area. One of the most popular diners is called the Red Arrow Diner. It is always crowded and is open 24 hours a day Friday-Sunday. I don't mind shopping at the mall if it is not too crowded. Musically, I'll go with Bon Jovi. However, I am a little surprised and disappointed that you neglected to also list the "Jersey Boys," A.K.A. The Four Seasons. Picture me with my hand raised. Now for a brief trip down memory lane. When I was in High School I had a crush on a certain female classmate. Unfortunately for me, she was already engaged to be married. She had a friend, however, to whom I came to be seriously attracted. This girl had high standards. I knew that because she could not stand me. She did eventually fall prey to my charm and did come to fall in love with me and after three marriage proposals from yours truly, she finally said yes. Forty six years and two children later we are more in love, more devoted to each other, than those two crazy kids back in High School. You know her as my beloved SWMBO. We celebrate our 46th Wedding Anniversay this Sunday, July 1st. A Godly marriage is one of God's greatest blessings. I have been lavishly blessed. Happy Anniversary, my immortal beloved! Have a great week and a safe 4th of July Holiday everyone! "When in the course of human events...." These words begin what I consider to be one of the greatest documents ever written, the Declaration of Independence. As we approach the 242nd birthday of our great Nation I have been thinking about our beginning and subsequent history. Despite our flaws, and there are many, we continue to be a noble people and a force for good upon the face of the earth. 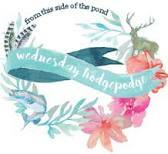 Another force for good upon the face of the earth is the Wednesday Hodgepodge. Thank you Joyce Daley, our Hodgepodge Mistress, for these weekly respites from the drudgeries of life. Enjoy! One thing on the list is the Laconia Motorcycle Rally, the oldest motorcycle rally in the country. It ran through father's day. My mission when I go is to purchase a rally pin, purchase an Italian sausage with onions and peppers, and a soft serve ice cream. This year...mission accomplished. Another thing on our bucket list is a trip to the beach with the Littles. We must find some Fried Dough. SWMBO & I love Fried Dough with powdered sugar. One of my favorite things to do as a youngster, usually with my friends, was to play, fish and swim at the river which was located about 100 yards from my front door. 3. Rootop or backyard? Why? You will find me in the backyard. I love the smell of grass. I love the trees ans looking up at the sky. Also, it is hard to grill on the roof...just sayin'. I do read food labels sometimes. I place a reasonable amount of importance on them. I do care where my food comes from. I am not as dilligent as I perhaps should be. The catalogs of Boston, Kansas and the Eagles. I will not bore you with a lot of commentary, but I have a few opinions to express. (1) My beloved Red Sox continue to play good ball. (2) The Department of Justice Inspector General's Report on the investigation into the Hillary Clinton emails is in. The IG did as good a job as possible given his limitations of authority. More about this in a future blog post. (3) The hearings with the DOJ IG went as expected. Both sides of the aisle interpreted the report in accordance with their own notions of what actually happened. (4) I hope that all you Dads out there had a great Father's Day...I surely did. I was well spoiled by my beloved SWMBO. I am a middle aged husband, father and grandfather. I have been married to my best friend for 40+ joyful years. I affectionately call her SWMBO- She Who Must Be Obeyed. We have two adult children a boy and a girl. Our son is married and has two wonderful sons. My daughter is also married and has two sweet adorable daughters. I am a retired police Lieutenant and have been a police officer for over 30 years. I am a college graduate and a bit of an autodidact. I love to read on a variety of subjects. I am a Christian, that is, a follower of Jesus Christ. I believe that the Bible is the inspired Word of God and is therefore true in all respects. I hasten to add that I AM NOT PERFECT! I am still trying to live right and figure things out often without success.